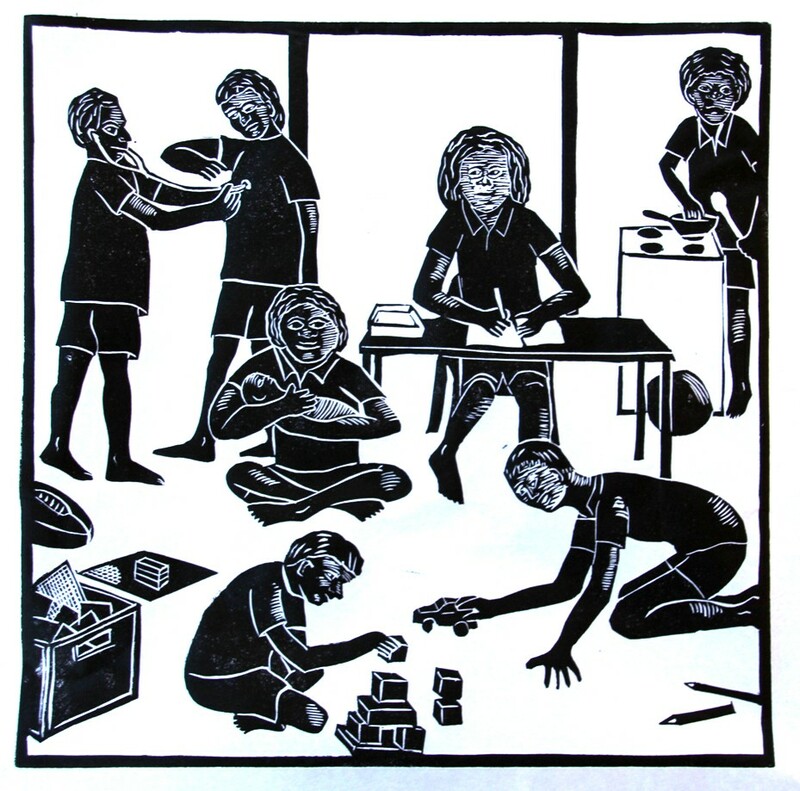 Linocut 300 x 300 mm. for entering into a fruitful life. not the most comfortable of procedures. His words did not merely cleanse. than comfort, upheaval rather than ease. It was all about discipleship, and fruitfulness. but the discipleship has weight and form. with the friendship and love. the grapes, and the wine. unafraid to make love’s choice. he’ll keep them safe from threat. his work’s not finished yet. never fear what comes to pass. and weep when loving fails. when it stands against the wrongs. as they sing the shepherd’s song. to participate in a war. and in the trenches of Turkey, Belgium and France. for us, and for our freedom. remembering, too, those who served in later conflicts. to assemble at Anzac Cove. There they will glory in the moment. and by its even more fearful leaders. denied the same freedom so fiercely defended by our forebears. and within an officially sanctioned conspiracy of silence. For convenience. And for shame. and the chocolate has been consumed. who met unexpectedly with their risen Lord. both of whom lead us to renewed wondering. to take our part in the great ongoing drama. that may yet redeem the world. Thomas puts aside his scepticism. to touch his hands and side. encounters with the risen Jesus. Get on with it, Thomas! are categorised as being in or out. of life and of love. but simply telling him to get on with it. Get on with it, Thomas. I left my new poem behind, in Willowra, so I am posting an old one on the gospel for this coming Sunday. I will post the new one when I get home in about a week.